The goal of the JCC Camps Rock Chavurah is to build strong, vibrant, and lasting music programs. Music builds community, enhances prayer experiences, creates lifelong memories, and is critical in creating a camp environment filled with spirit, energy, and excitement. 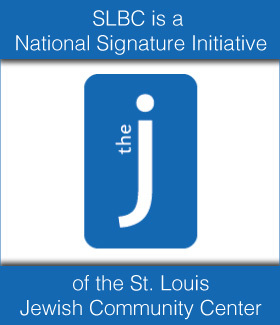 Together, JCC Association and SLBC hope to strengthen the culture of music and songleading in JCC camps throughout North America. Nine JCC camps will participate in this year’s JCC Camps Rock program. Two participants from each camp attend the SLBC National Conference in St. Louis. Participating camps also receive ongoing support before, during, and after the summer including a summertime onsite SLBC consultant visit. 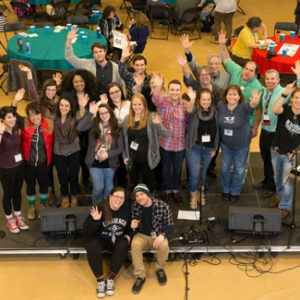 For the last 6 years, Ramah constituents have gathered annually in the SLBC Ramah Chavurah for 3 days of immersive learning, t’fillah, strategic road-mapping, songleadership, and spiritual exploration at the SLBC National Conference. SLBC is proud to partner with Ramah National Commission for the SLBC Ramah Shabbaton weekend (Feb 15-17) that leads into the SLBC National Conference (Feb 17-19). 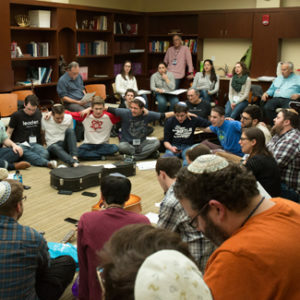 The SLBC Ramah Shabbaton focuses on t’fillah (prayer) and shira (song) leadership skills that are specific to Conservative Movement settings, providing the time, space, and atmosphere for in-depth learning, strategizing, and spiritual transformation. 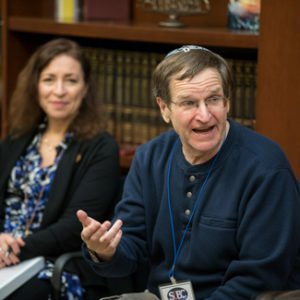 In addition to the SLBC Ramah Chavurah experience, SLBC provides a platform and workshops for Conservative Movement attendees (clergy, educators and lay leaders) to interact and collaborate with each other. SLBC has really taught me what it means to be an all-around engaging educator, not just someone who can teach text. It’s a blend of music and conversation and inspiration and worship, and really collective thinking together about what are the needs of our time and how do we convey the wisdom of Jewish tradition for the next generation – I don’t know of any place like this place. It’s sort of a petri dish of what works! 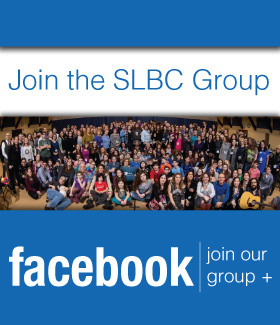 SLBC has served to elevate and inspire and really help our program grow, and bring ruach and exciting Jewish music and engaging leadership to our camps. With gracious support from the Staenberg Family Foundation, we are excited to expand the Teen Track at SLBC ‘19. Led by Naomi Less and Charlie Kramer, the goal of the Teen Track is to build strong, vibrant, future leaders of the Jewish world. 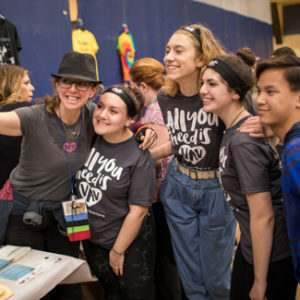 The teen track teaches participants about the many tools they can access to create powerful, interactive Jewish connections. Teen track participants expand their leadership abilities, taking presentation and songleading skills to an entirely new level. Music is an amazing vehicle for teens, but most SLBC teen participants are not musicians or singers. The track focuses primarily on general leadership skills, using music as a powerful bonding agent. You do NOT need to play an instrument to take part in the Teen Track. 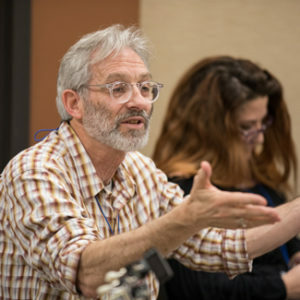 Participate in intensive, super-charged sessions with your favorite Jewish music artists and respected educators. Learn valuable skills for becoming a leader in your community. Grow your confidence exponentially. You’ll be ready to rock out any presentation or performance. Gain super star presentation and/or songleading techniques. You don’t need to be a musician. Share a truly inspiring experience with like-minded teens. Create a Strategic Roadmap for long-term growth. Experience a powerful leadership program to include in college applications and resume. SLBC launched the SLBC Day School Chavurah for day school students in grades six through eight in 2018. Classes from St. Louis and Greensboro joined together for the inaugural SLBC pilot program and explored roles and leadership skills necessary for students to effectively lead tefilah (prayer) and shira (song), as well as a variety of programs in a day school setting. Teacher and student participants from each city also had the opportunity to bond with each other and share best practices. The chavurah was a tremendous success and will expand at the 2019 SLBC National Conference. 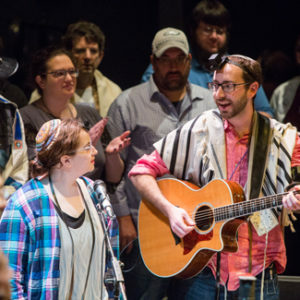 Students returned to school not only with new tunes and techniques for energizing tefillot, but also with new conceptions of themselves as leaders. 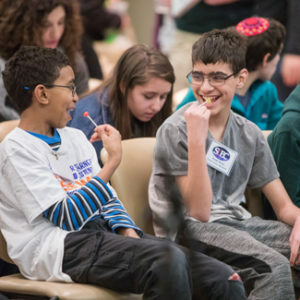 They continue to be excited by the possibility that they themselves can do more than simply lead prayers–they want to be leaders who think carefully about how they want their community to feel and how to build excitement and ruach for students of all ages. 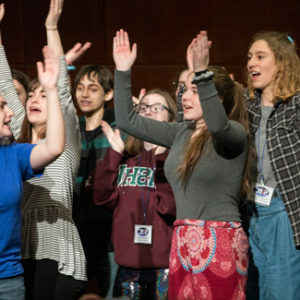 The SLBC 2018 Day School Student Leadership Chavurah exposed our students to new repertoire and diverse techniques for leading creative Jewish prayer experiences. The learning in break-out sessions and relationships they built with peers across the country empowered them to reflect thoughtfully on their roles in creating meaningful prayer experiences at our school and ask deep and transformative questions about what we might build together. The brand new Relational Judaism Chavurah is directed by Dr. Ron Wolfson, Rabbi Nicole Auerbach and Rabbi Lydia Medwin, authors of The Relational Judaism Handbook: How to Create a Relational Engagement Campaign to Build and Deepen Relationships in Your Community. Relational Judaism represents a paradigm shift in organized Jewish communal life, one in which the emphasis in our communities move from the programs to the people, from top-down, transactional relationships to bottom-up, authentic meaning-making. The Relational Judaism Chavurah electives will be open to all and we are happy to welcome a pre-selected group of Relational Judaism Chavurah participants. Topics for these sessions include working with small groups, engagement strategies and approaches, connecting with your community and more.